Here are some of the new features that have been added to BricsCAD V14 that I found interesting. This is the automatic generation of 2D drawings from 3D models just like any other mainstream MCAD application. Full associativity is maintained between the 3D model and the derivative 2D drawings. This will be available in the Pro and Platinum level of BricsCAD V14. BricsCAD V14 comes with some basic sheet metal functionality. I expect sheet metal to be fleshed out more in future versions. Direct modeling is used to create and modify the features of the sheet metal design. This is unlike MCAD systems like SolidWorks where you need edit parameters in a properties window to see the effect in the 3D graphics window. Couple this with part and assembly modeling and it becomes clear that BricsCAD V14 is turning out to be something that can be effectively used in MCAD design. Bricsys has licensed Spatial’s 3D InterOp data exchange technology to create a plug-in for BricsCAD V14 that will allow users to import and export a large number of MCAD file formats. The ability to import and export these file formats is crucial for BricsCAD to make inroads in the MCAD space. Here is the list of import formats. 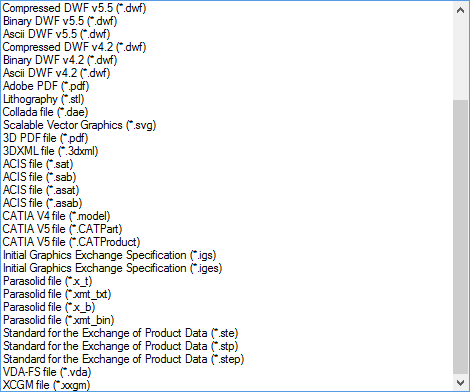 And here is the list of export formats. This plug-in is called BricsCAD Communicator and will be made available to customers of Pro and Platinum levels of BricsCAD for an additional amount. The price has not yet been fixed but it is estimated to be around the 500 Euros. Here is a video highlighting the BricsCAD Communicator module. I really like the direction Bricsys is taking BricsCAD. 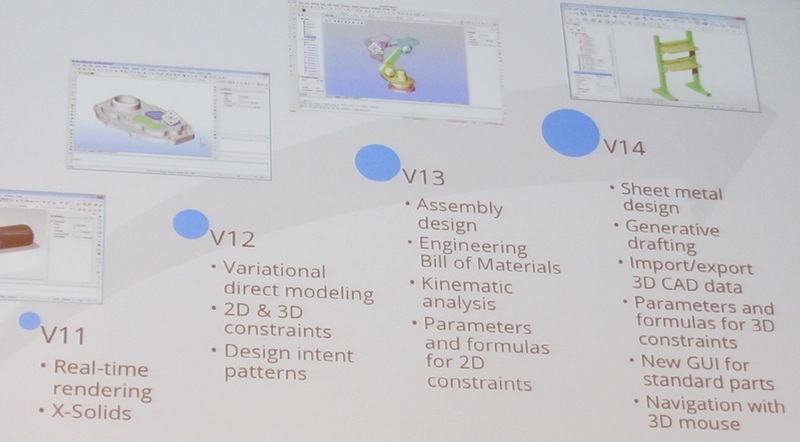 In an earlier post titled “Bricsys’ Mission To Unify 2D And 3D CAD” I wondered what how far Bricsys had gone in fulfilling their mission of unifying 2D and 3D CAD. 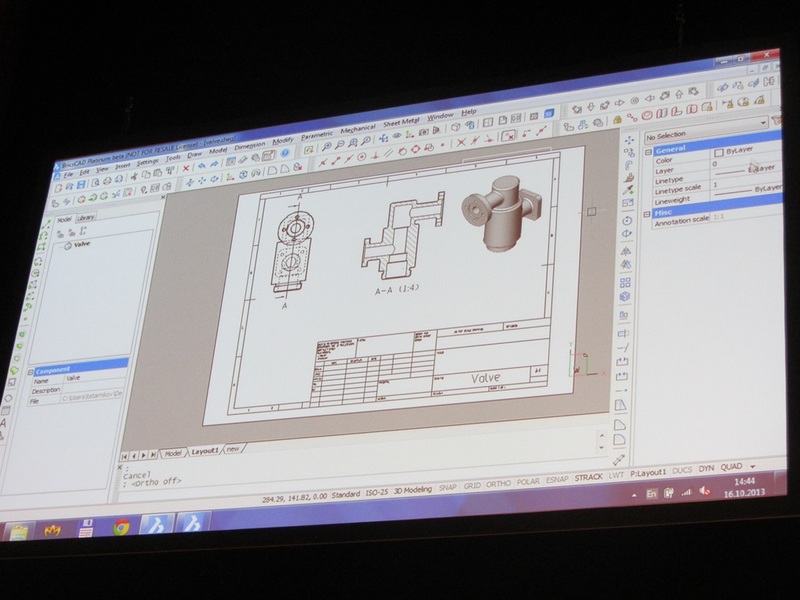 Clearly the 3D features added to BricsCAD V14 are a huge step forward for what was once upon a time a 2D CAD system. 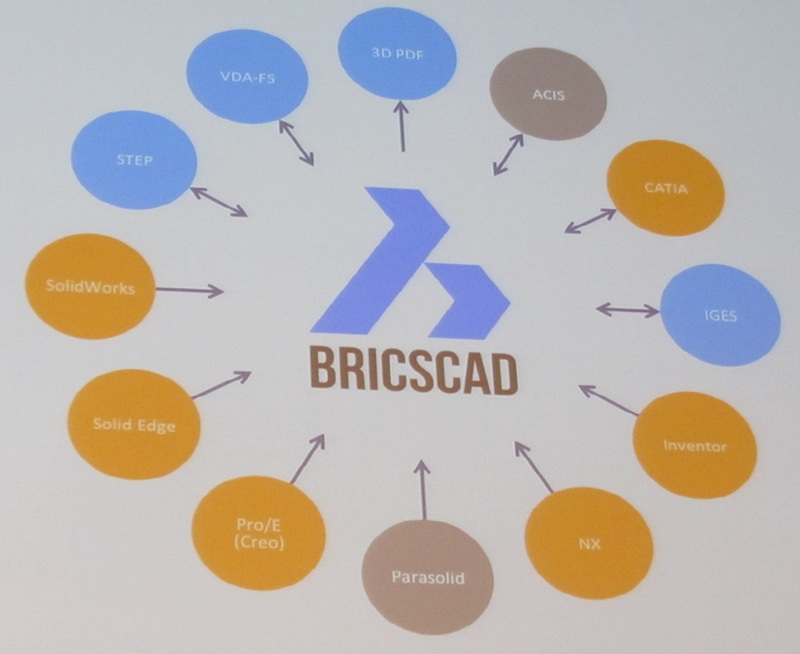 This slide does a good job telling the BricsCAD story. I congratulate my friends at Bricsys on an awesome release and wish them the very best and they go full steam ahead exploring new markets.